Buy a Ring, Get a FREE Agromeck! 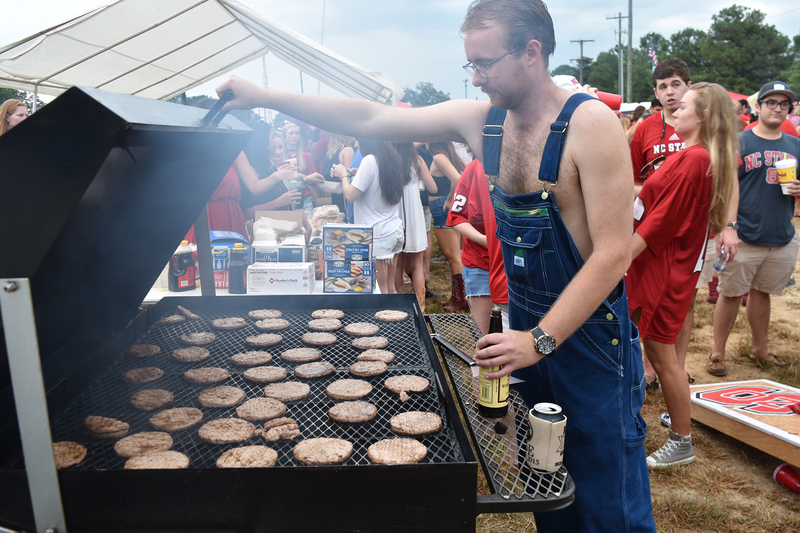 James Stonecypher, a junior in environmental technology and management, grills out at the William and Mary football game held at Carter Finley Stadium on Sept. 1. Stonecypher poured worcestershire sauce on top of the meat to get ready to serve the food.